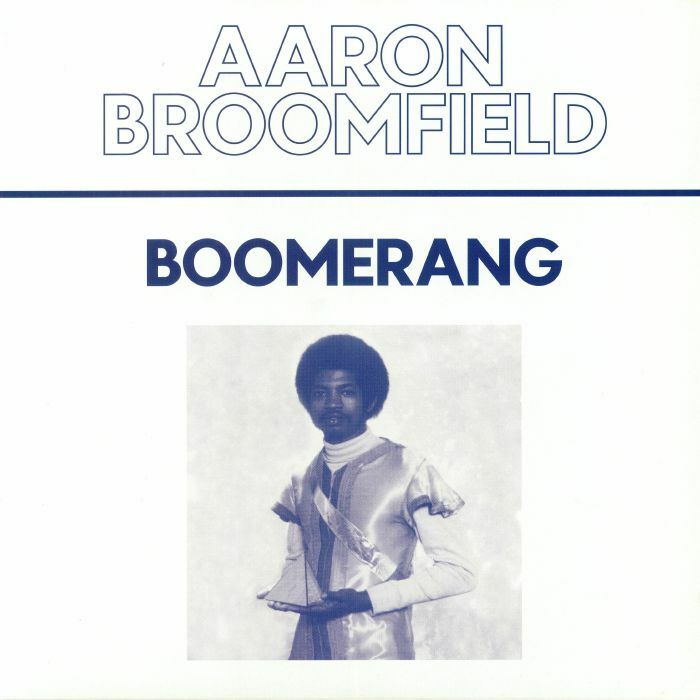 Aaron BROOMFIELD Boomerang vinyl at Juno Records. 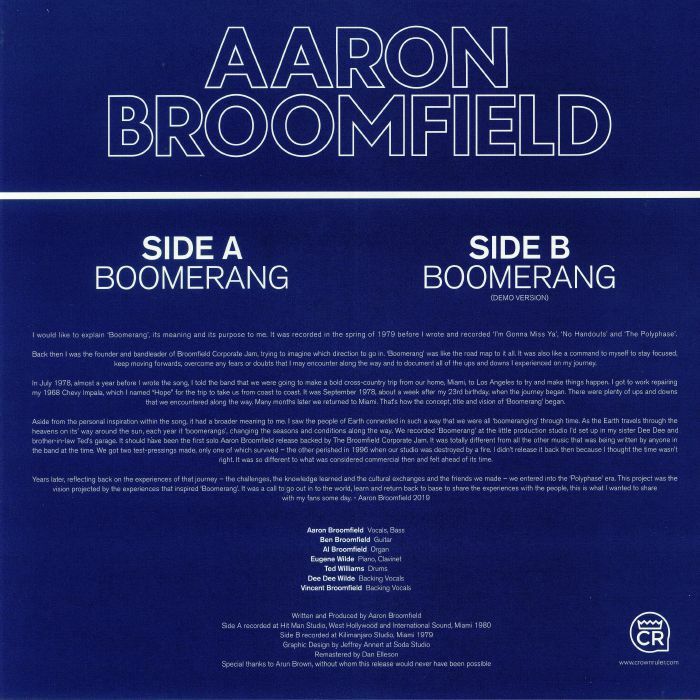 Hot on the heels of last year's Athens Of The North excavation comes this seminal slice of proto boogie from Aaron Broomfield as he was just on the brink of leaving Broomfield Corporate Jam to set himself up solo. 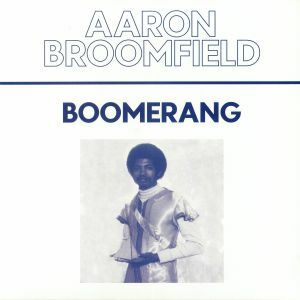 Never before released (only two test presses were made, and one of them was damaged in a fire), both the slower, more seductive demo and the sprightly, slap bass popping final version capture a pivotal moment in Broomfield's career and a golden time in post disco funk and boogie. 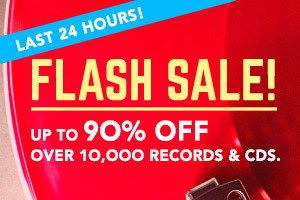 Just as the title suggests; you'll keep coming back to this one over and over again.